Are You Not Getting the Falcon Flash? On your phone, text the message @flhspta to the number 81010. You’ll get meeting and other important reminders on your phone. Need-Based Scholarships may be available – please contact your guidance office. FORMS! FORMS! FORMS! Prefer to download & print? Srsly? Okay, here you go. Click here to check out our approved budget for the 2018-19 school year. — we still have open positions for someone with your particular set of skills. Have you fallen behind in your FLHS PTA lore and trivia? Maybe you want to re-live every exciting detail of committee reports, grant requests and luncheon planning. Well, you’re in luck — we’ve stored materials for all past PTA meetings here. Enjoy!!! Hey! My Info Changed on MySchoolAnywhere This Year! If your info looks a tad different, it’s because our PTA is now using Infinite Campus contact info to reach and email you for PTA news & events. Once you’re in MySchoolAnywhere, you may edit your contact info to look any way you want! Questions? Just email flhsptapresident@gmail.com. Go to www.alphaprep.com Use the course code: FPHS to find summer classes in Fairfield at both Warde and Ludlowe. Don’t delay. Sign up TODAY to make sure you get a seat! AlphaPrep is a Connecticut based, full-service tutoring firm providing an outstanding, individualized approach to SAT & ACT test preparation. For the past decade, AlphaPrep has sponsored the Fairfield Warde & Ludlowe PTAs on behalf of all Fairfield high school families. The PTAs have negotiated the lowest rates possible to allow all Fairfield high schoolers the benefits of an internationally recognized test preparation program. A portion of all tuition fees is donated back to the Warde & Ludlowe PTAs. Students needing financial assistance may inquire about AlphaPrep scholarships through their school counselor. AlphaPrep has developed a proprietary tutoring program and web tool to meet the academic needs of busy students with the added convenience of classes being held in our schools here in Fairfield. A panel of college presidents was recently asked how high schools could better prepare students for college. The unanimous answer: send us emotionally healthy young people. To that end, we have structured workshops that take place as a 90 min session, once a week, over 5 weeks — for Parents/Guardians only. WHAT IS CLFC: Participants in our Creating Lasting Family Connections workshop will experience a focused exploration of interpersonal communication skills, expression of feelings and self-awareness. Guided by a trained facilitator, parents will learn effective strategies to strengthen family relationships–especially with teens. They are also provided the opportunity to practice these skills in a comfortable and confidential group setting. Open to both Ludlowe and Warde families! WHY: Research shows that clear and consistent messages from parents to be one of the most influential factors as teens make decisions about alcohol and drug use. Studies also show small communities (such as parents of same age children, same school district, same neighborhood, etc.) that gather to discuss common challenges are more connected and productive. Effective communications can reduce stress in families. Look for new meeting dates coming above for the 2018-19 school year. 7. FREE Family Communications Workshops for FLHS families!!! Are You Getting the Falcon Flash? I Lost My PTA Password & I Can’t Get In! Click HERE and a new password will be sent to you. When you get there, type in your email address and click the words, “Forgot Your password?”. Still have issues? Email flhsptapresident@gmail.com. You’ll get meeting reminders on your phone. Some times you may ignore these, but others you’ll be glad you set reminders! to My Phone’s Home Screen? 6. Congrats. That blue tile below is the FLHS PTA site and you just added it to your phone (you’re really good at this). 2016 Summer Mailing & Freshmen Preview folders on Aug. 16th & 17th. (that’s 10 pieces per mailer). (that’s 18 pieces per folder). It was really amazing and we owe a lot of thanks to the parents who made it happen. Upper grades families, look for your mailings to arrive the week of Aug. 22nd. Freshmen and New Student families — see you at the school for Preview Day, Wednesday, Aug. 24. Estimated day for class schedules to go live for all grades is Thursday, Aug. 25th (tentative). Monday, August 22nd at 6:00 PM in the FLHS cafeteria. Please contact the Athletic Director’s office if you have questions. (and you thought Summer Reading was only for the kids). 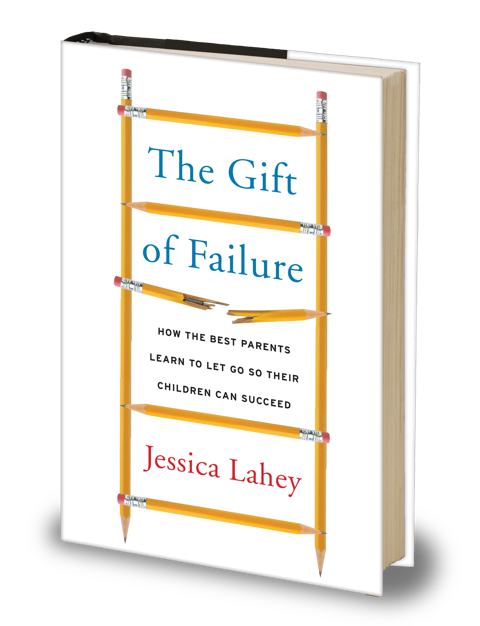 Take some time out this summer to read “The Gift of Failure” by Jessica Lahey who is an educator, writer, and speaker. She writes the bi-weekly New York Times column, “The Parent-Teacher Conference,” is a correspondent at the Atlantic, and a regular commentator on Vermont Public Radio. She and has appeared as a parenting and education expert on The Today Show, Fox and Friends, MSNBC, the BBC, NPR, and many others. We will gather for our book discussion in the Memorial Room of the Fairfield Main Library on Monday, August 29th, 2016 7:00pm-8:45pm. Coffee and dessert will be provided, but feel free to bring your own treat to share with others. Bring your book and any notes or comments you’d like to discuss. To help us plan for the evening, please RsvP by clicking here. This is a great way to connect with other parents of kids middle school on up through college. Questions? Contact Laura Lawlor. Don’t miss these important insights into your child’s year. on how to meet your child’s needs as they experience their coming year at FLHS. There will be 4 Coffees. Look for your child’s grade below and Save The Date. Purchase 2018-19 PTA Memberships Here!